Tilapia is easy to prepare, cheap as far as fish goes, and is even being farm raised in Colorado now by Whole Foods. It also happens to work beautifully in this recipe. I don’t fry a lot of foods, and with a nonstick pan you can actually fry the cornmeal crusted fish with very little oil. And while the cornmeal crust is delicious, it’s the homemade Pico de Gallo that really perks up the recipe. 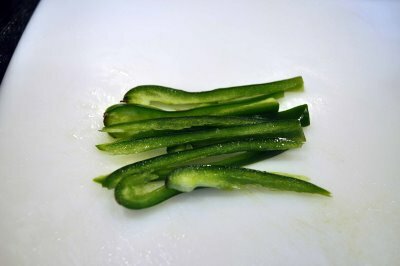 I didn’t bother with photos of every step of this recipe, but wanted to share how to finely mince a jalapeno. Cut off the top and cut it in half lengthwise, then use a knife to pull out the seeds and membranes. (If you like it really hot, leave those in!) Next cut the halves into long thin strips… …then cut those strips into finely minced pieces. 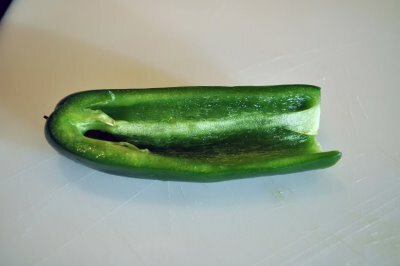 This way you don’t get a huge hunk of jalapeno in a bite of pico, but a nice heat throughout. 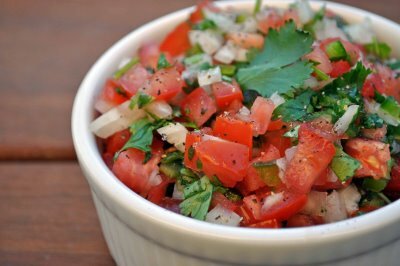 I like to make just enough pico to fold some into an omelet the next morning. After that, I don’t think it really keeps it’s fresh flavor very long so make it, eat it, and move on! Cut out the blood line from the center of the tilapia fillets leaving 2 pieces per serving. Combine buttermilk and hot sauce; set aside. Combine flour, cornmeal, seasoned salt, and pepper. Dredge fish in flour mixture, then coat with buttermilk. Heat a skillet over medium heat and add olive oil. Coat fish once again in flour mixture, then place into skillet. Fry until golden brown, then flip and fry on other side, about 4-6 minutes total. Note: Sometimes I’m too lazy for the “double dip” and I just dip in buttermilk then the flour mixture, pressing to make sure the coating adheres before frying them. Combine all ingredients in a small bowl and mix well. Serve fresh. 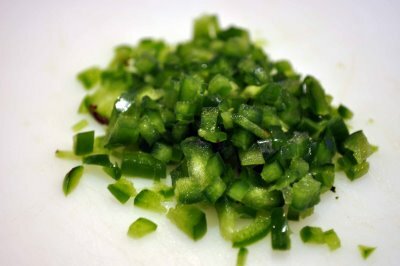 Note: Salsas like this are a personal thing – if you like more or less of any one ingredient, adjust it to suit your tastes! 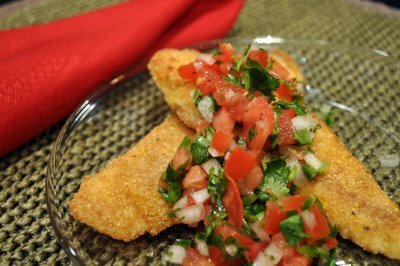 Hi Michele, I make my Pico de Gallo exactly like you do and last night we had cornmeal crusted chicken breasts! I also use half flour and half cornmeal but I add Herbs de Provence. Yummy! I am now going to look at all your recipes since we seem to have the same tastes!! Glad I found your site! Welcome Linda – glad you found my site and hope to hear from you more in the future!